Toshiba C70D-302 17.3" Best Buy Laptop AMD A4-6210 Quad Core 8GB RAM 750 GB HDD. Toshiba C70 gives you great performance in everything you plan to do on it. Its AMD processors gives better computing experience whereas its stylish design makes you look smart while working. All the latest features and multiple options of connectivity takes you experience to the next level. 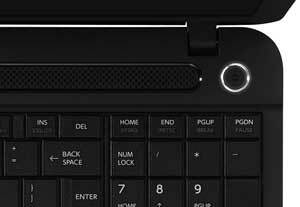 Its textured finish and U shape design gives this laptop an elegant look. Featuring a textured finish it reduces fingerprints and gives you laptop a smooth and clean look. In short Toshiba C70 is a perfect combination of style and performance. Toshiba Satellite C70 with its 17.3 inch display is a perfect desktop replacement. This wide screen gives you enough space to work efficiently and improves your multi-tasking. 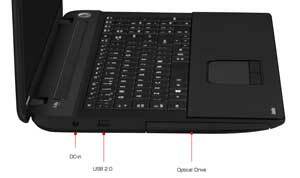 Its large full sized keyboard gives you more comfort and ease of work. Featuring a numeric keypad it enables you to work efficiently in applications like spreadsheets. So have a comfortable typing experience with Toshiba C70. Featuring a multitouch gesture support it gives you fluid and intuitive touch experience. Its advanced, touch-sensitive interface senses the position of more than one finger and recognizes pinching, swiping, and zooming gestures. The integrated speakers are combined with DTS Audio and fixed just below the screen to give you maximum enjoyment of your media. 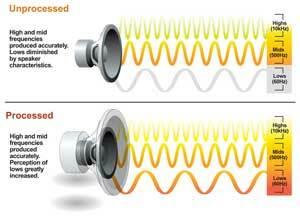 DTS Sound features a sound enrichment suite that boosts the volume and gives more definition to audio. By delivering high frequency detail it offers you immersive experience through speakers and headphones. Optimized to work with Windows 8.1 it lets you increase your productivity. It allows you to put all important things on start screen so you can spend more time doing and less time searching. Windows 8.1 offers you a smooth and fluid performance in every task. Data transfer is made easier with USB 30. It gives you ten times faster data transfer rate from USB 2.0. Files and folder which took hours can now be transferred just in few minutes. So make your data more portable with USB 3.0. 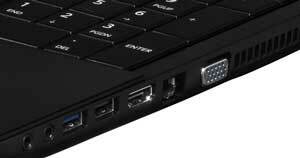 Coming equipped with integrated HDMI port it enhances your usability. 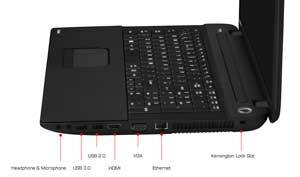 It enables you to connect your laptop to projectors or HD monitor for HD entertainment of your media. Through HDMI port audio and video signals are transmitted through one cable means no clutter of wires. Satellite C70 comes with integrated web cam so you can take most out of your video chats. Not just video chats you can make video and take high quality pictures for sharing them with your friends. For giving you a complete entertainment experience, Toshiba has equipped it with DVD SuperMulti Drive. It allows you to create your own DVDs and CDs. With a complete package of DVD Drive, wide screen and high quality audio it amplifies your media experience. To get you straight to work Toshiba has preloaded some software. Toshiba C70 comes with a free one month trial of Office 365 and free trial of McAfee internet security so you can start work with complete peace of mind. Skype is also preinstalled so you can make regular or video calls to your friends and colleagues around the world. Toshiba laptop owners can also sign up for a 2 month free trial of the Telegraph Digital Pack which includes Telegraph for Windows, Telegraph mobile apps and more.